After much reluctance, I decided to write this to my brothers in the NFL who out of undue pressure decided to abscond their scheduled trip to Israel and Palestinian territories. I am afraid I have to disappoint you and start by saying you’ve been grossly misled and chose not to side with the truth. The future is full of light and promising but you failed to share that message with the conflicted people. One can simply characterize the boycott campaign as plainly anti-Israel. It’s a project largely driven by those who want the demise of the modern State of Israel, the ancient Jewish homeland. The call has nothing to do with advancing interests of the Palestinian people. 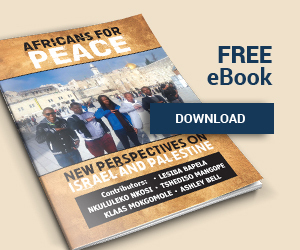 In his recent trip to South Africa, President Abbas of the Palestinian Authority discouraged South Africans from embarking on any boycott of Israel because it directly contradicts the arduous peace efforts and in turn affects the ordinary Palestinians. He stated very clearly that while engaged in the struggle for self-determination, they envision a future Palestinian state peacefully existing alongside a secured Israel. Do the boycott Israel protagonists share this aspiration? The hateful lies peddled by anti-Israel agents can never advance meaningful change and lasting peace. Their frolics have a potential to totally reverse the cooperative gains that Palestinian and Israelis have achieved over the years. Instead they continue to fuel mistrust and hate. Nothing good can come out of that. Pay little attention to self-imposed groups like the BDS cohort. While they continue their mission to mislead, they have been discredited and rejected by Palestinian leaders. They simply lack the legitimacy; moral gravitas and political mandate speak on behalf of Palestinians. In apartheid South Africa, sport was deliberately used to segregate people. We had sporting codes that were exclusively white and some offered to the black majority in the dusty townships and rural areas without any infrastructure. Sport in the new South Africa was and continue to be used as an effective nation building tool and to strengthen social cohesion. The late former President Mandela realized the importance of bringing people together through sport. He used this universal tool in the 1995 Rugby World Cup and African Cup of Nations in 1996, both hosted in South Africa. The messages of hope and peace expressed through the good game, resulted to impeccable results. It started difficult but necessary conversations, shifted mindsets, rescinded stereotypes and cynics converted, realized that the dream of a harmonized society is possible. Sport personalities have an enormous responsibility to drive change in modern society. They must at all times act in truth and for the betterment of the world. Spectators and fans must fully appreciate the game not because of its momentary thrill but for its enduring effect in communities. If people are really interested about the abnormal realities of Palestinians, why did the NFL players disengage? There is no better way to understand the intricacies of the conflict than visiting the two conflicted nations. Interacting with the people, getting lived experiences is more enlightening and empowering than virulent literature propagated by Israel’s critics. The circumstances on the ground are not simply black and white. It is far complex and messy; hence it amounts to misappropriation of our painful history when Israel is compared to apartheid South Africa. This group thrives on misrepresenting facts and to grandstand on the pain suffered by both Israelis and Palestinians. Without a doubt they’ve failed to fully immerse with the wishes of the ordinary. Spending a few hours with Israeli and Palestinian youth could have created lasting connections, of which under normal circumstances, would be impossible to create. My brothers who succumbed to the pressure applied by the anti-Israel lobby downplayed the power sport has to unify people. They unfortunately missed an opportunity to empower and motivate the sullen faces of Palestinian children. Their visit would have been a refreshing alternative from the indoctrinated hate fed at schools. Next articleIs South Africa really a Xenophobic nation?